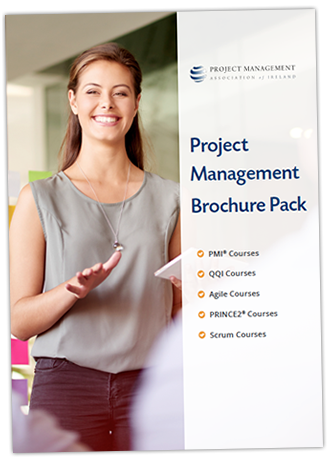 Our QQI Level 6 Project Management course is a popular choice for project managers from every background. 1. Do I need experience to attend this course? No previous experience is necessary for this QQI Project Management course. Even if you don’t work as a project manager, you’ll find this course is a great introduction to the role of a project manager and good-practice approaches to project management. 2. Is this QQI Level 6 course only for beginners? We recommend this course for all levels of experience. We always have a mix of levels on each course. Seasoned project managers attend this course when they are seeking refresher training, to strengthen their existing skill-set, or to gather new perspectives and approaches. 3. How long is this course? This course is 4 days long. Each day runs from 9.30 am to 5.00 pm. 4. Is there an exam? Following your training, you have 8 weeks to complete and submit the QQI assessment work for this course. This is comprised of a project portfolio of work and a written assignment. We will provide thorough guidelines and help you prepare to complete these assessments.